Like many people my age the first we were aware of Aretha Franklin, who has lost her long battle with pancreatic cancer today at home in Detroit, Michigan, was as the powerful Mrs.Murphy in the John Landis 1980 film The Blues Brothers. 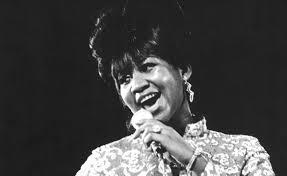 Performing her 1968 hit song, Think, Aretha put in a performance of such controlled and easy vocal power that proved to the world why she’d been called ‘The Queen Of Soul.’ And the ‘Queen of Soul’ she truly was with a career that spanned her life from the 1950’s right up to the present day. Born in Memphis, Tennessee in 1942 Aretha began her singing career in her fathers ministry in Detriot following the oft trodden route of learning the singing ropes through gospel music before, in 1960, embarking on a secular career by signing to Columbia Records. 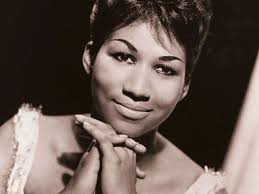 Success was at first slow in coming but after signing for Atlantic in 1967 a string of stellar albums followed firmly positioning Aretha as one of the biggest and most important black musicians along with the likes of Marvin Gaye and Otis Redding. 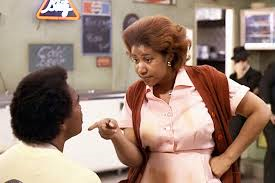 And with the burgeoning civil rights movement growing Franklin’s song, Respect, became a rallying call behind which black America gathered to call and fight for greater and greater freedoms and recognition, all the while confirming Aretha’s position as an icon for her people. The 1970’s were a decade of highs and lows which meant. by the mid to late 70’s Aretha’s career had begun to stall. However, after her father was shot, Aretha left Atlantic and signed for Arista which, coupled with her role in The Blues Brothers, led to an upturn in fortunes with albums such as Who’s Zoomin’ Who introducing Aretha to a whole new audience. Helped by performances with the likes of George Michael and The Eurythmics Aretha cemented and confirmed her position as the premier female soul performer of her generation. The first female performer to be inducted into the Rock N Roll Hall of Fame Aretha Franklin was and is one of the highest selling female artists of all time. 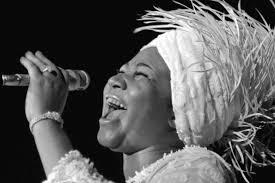 Winning 18 Grammy’s and numerous other awards and accolades, Aretha is, nevertheless, much more than just one of the most deservedly decorated artists of all time, becoming, throughout her career, the voice of black Amercian soul music. She is artist that defined her genre and became the ‘Queen of Soul.’ But much more than this, Aretha Franklin is and was an innovator, a trailblazer and an inspiration whose voice and influence was heard in the music that followed from the likes of Whitney Houston and Beyoncé and will continue to be heard through the soul singers of the future who will follow.